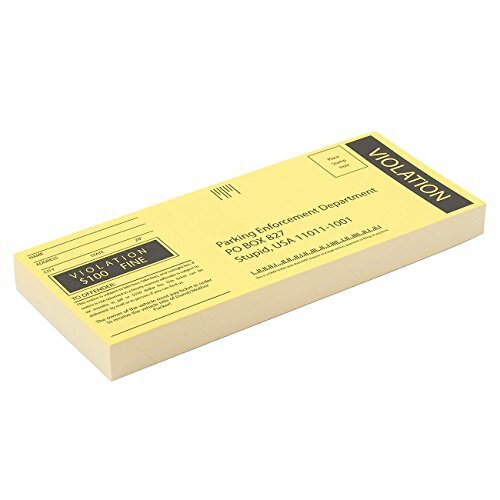 FAKE PARKING TICKETS: This pack of fake parking tickets includes 100 sheets on a pad. 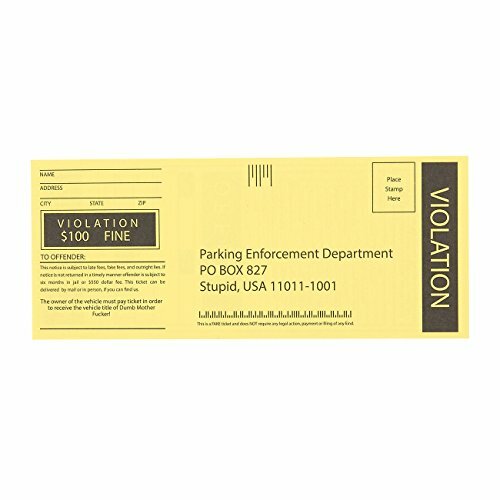 LOOKS REAL: At a distance, the yellow color, rectangular shape, and large “VIOLATION” print makes these fake tickets look absolutely real. 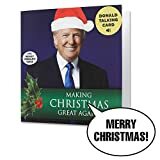 But after they read the fine print they’ll be in for a laugh! HILARIOUS ‘OFFENSE’ LIST: Includes 31 offenses for you to pick from, and one ‘other’ field for you to write your own offense. 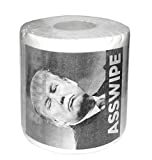 Ladies and gentleman. 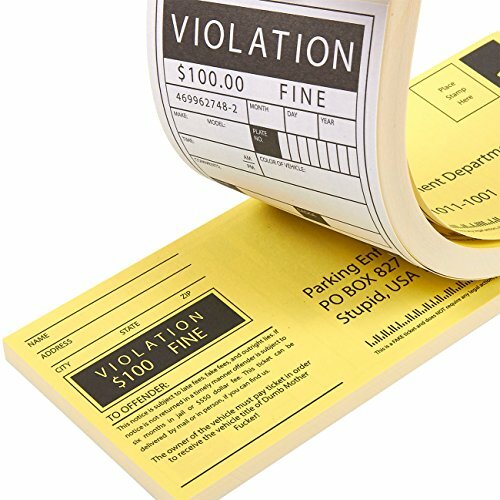 The ultimate prank fake parking tickets are here. 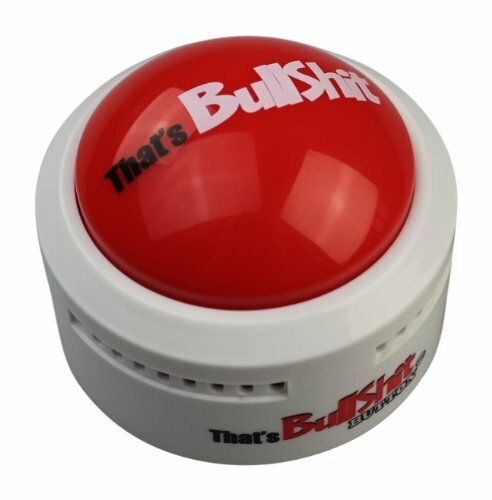 When riding with a friend fill one of these out beforehand and stick it under their windshield wiper while parked. They’ll groan at the sight of one of these fake parking tickets but after they look at the fine print, they’ll be in for a laugh. It’s the ultimate emotional roller coaster. 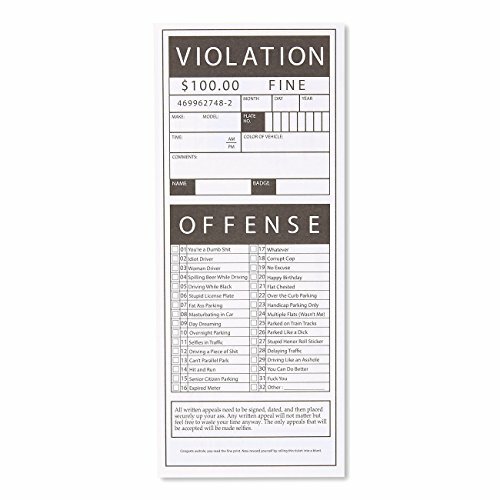 With 100 sheets, you’ll be able to dish out fake parking tickets as you wish. 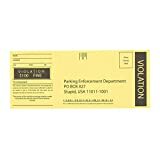 THEY LOOK REAL: At a distance, the yellow color, rectangular shape, and large “VIOLATION” print makes these fake tickets look absolutely real. But after they read the fine print they’ll be in for a laugh! VALUE PACK: Get 100 fake parking tickets at a value price, a much better deal than “other” fake parking tickets! 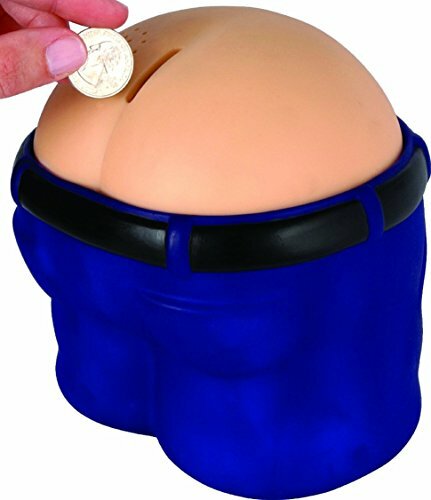 The prank value of these tickets are out of this world! DIMENSIONS: Each fake parking ticket measures 2.5 x 6 inches.